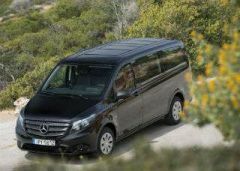 For the second consecutive year Mercedes Benz becomes the geatest ally of Bike Odyssey!! For another year, Mercedes-Benz Hellas will be on the side of Bike Odyssey 2019 as its most valuable partner. 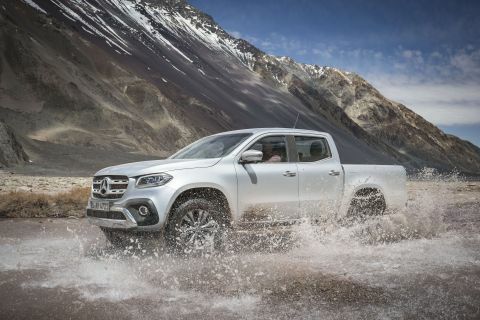 The well-known brand of cars, which for decades has identified its name with quality, comfort and top performance, makes once again a thundering presence in another great athletic appointment, as we are used to. That is of course Bike Odyssey 2019, which is held this year for the seventh consecutive year on the breathtaking mountains of Pindus. This race is one of the most demanding mountain biking races in the world, being the only one of its kind that lasts for nine days. Seeing such an ambitious and dynamic venture, Mercedes could not be absent and decided to stand next to the race for the second consecutive year as the most dynamic sponsor and ally of the event, providing a small super-efficient fleet for the needs of such a venture. 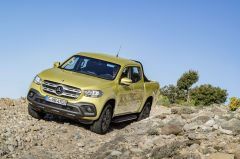 This fleet will consist of 3 X-Classs, which have recently entered the market in a very dynamic way, by being "the next thing" in the pick up category. 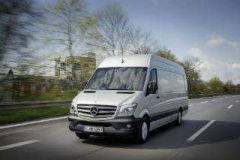 At the same time, the versatile 9-seat Vito Tourer and Sprinter Van come to complete the fleet and fully meet the very demanding needs of the event. 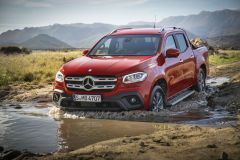 Consistent with the big appointments, Mercedes was called and offered once again the best, and the organization of Bike Odyssey can only feel grateful and proud of the existence of such an ally on its side! !